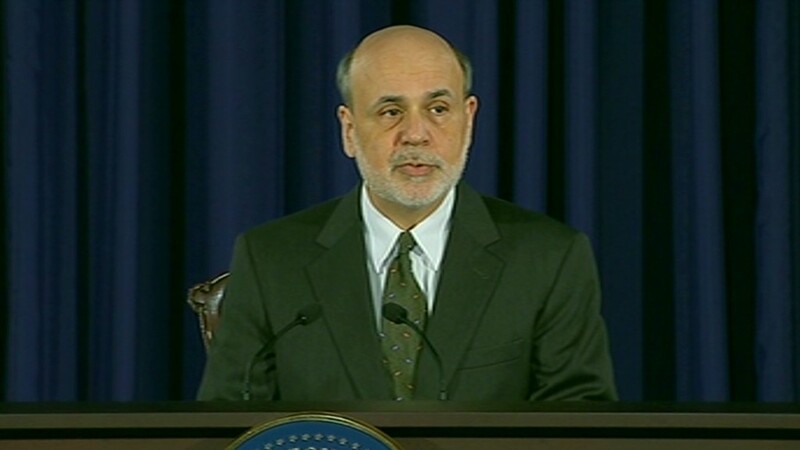 Investors may be in for a Bernanke hangover Thursday. U.S. stock futures were weaker across the board ahead of the opening bell. S&P and Nasdaq futures were down about 1% and Dow futures fell 0.7%. "It looks like we're off to an ugly start," said Peter Cardillo, chief market economist for Rockwell Global Capital. "We have the Fed show weighing heavily on the markets." 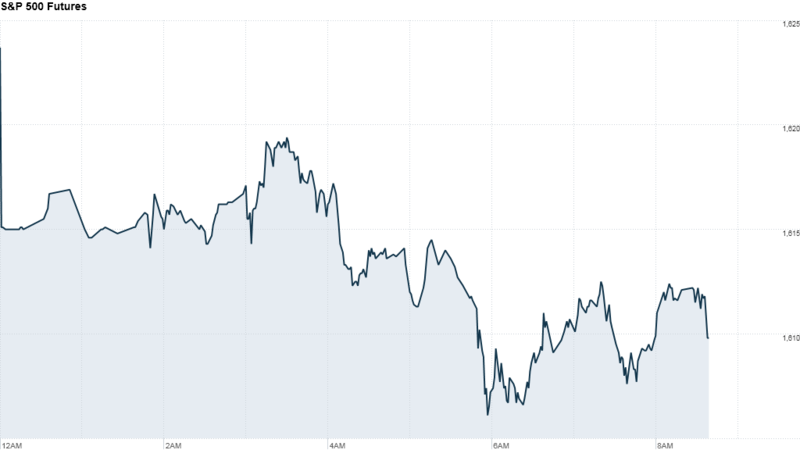 Bond yields continued to spike Thursday, with the 10-year Treasury yield rising as high as 2.45%. That's its highest level since August 2011. At the same time, gold prices plunged and the dollar rallied against the euro and the yen. World stock markets were deeply in the red as investors feared the Federal Reserve might begin reducing the pace of stimulus toward the end of this year. A weak reading on China's factories further rattled investors as it stoked concerns about slowing growth in the world's second biggest economy. Major European markets fell by more than 2% in morning trading. Asian markets also saw hefty losses after HSBC's flash purchasing managers' index for June showed Chinese manufacturing activity at a 9-month low. Hong Kong's Hang Seng and the Shanghei Composite both shed nearly 3%. Stocks tumbled Wednesday after Fed chairman Ben Bernanke said the central bank could slow the pace of its bond-buying program later this year if the economy continues to improve. Bernanke stressed that these plans will be adjusted if the recovery doesn't continue as expected, but that was no comfort to investors. The Dow and S&P 500 tumbled 1.4%. Cardillo said Friday's impending expiration of futures and options contracts, known as quadruple witching, is also weighing heavily on stocks. Thursday morning, the government said the number of jobless claims rose more than expected in the latest week. Meanwhile, the National Association of Realtors will publish its monthly report on existing home sales at 10 a.m. ET. The Philadelphia Fed report is also scheduled for 10. On the corporate front, drugstore chain Rite Aid (RAD) swung to a profit but revenue declined in the latest quarter. Grocery chain Kroger (KR) is also scheduled to report quarterly results before the opening bell, while tech giant Oracle (ORCL) is up in the afternoon.